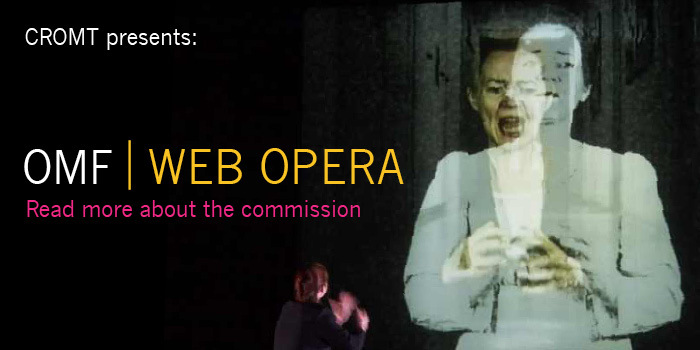 This Mini-Opera , whilst based on Capek’s original work is designed for dissemination through both web and live performance. Brought up to date in a contemporary setting, it is designed to work as a hybrid form, using either adaptive scenography online with Youtube “mash-ups” provided by either artist or audience or on stage using image-mapping projection techniques. Most of the background images are sourced from Youtube or created as online flickr images, which have been animated by the artist through morphing software.